As the automotive sector is characterised by a great diversity of product variants, coupled with fluctuating production volume at the same time, each supply chain must meet high standards with regard to quality and flexibility. As a car manufacturer or supplier, you can rely on our global network for your transport requirements and your supply chain. 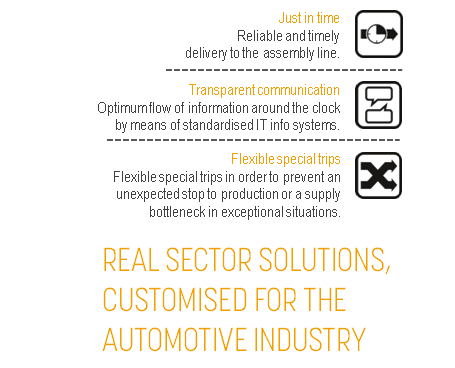 Our industry solutions ensure that your components and vehicles reach their destination reliably and promptly.